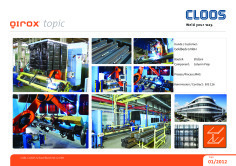 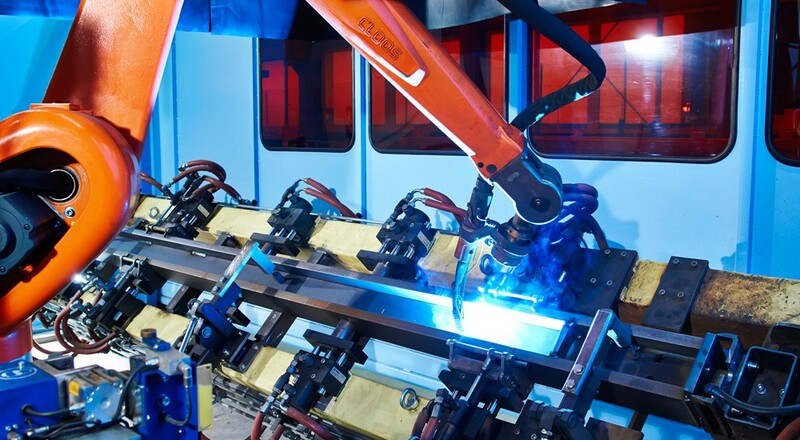 In the two-station robot system a QRC350 welds different steel supports for systematised building construction. 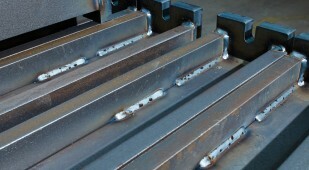 These supports are used for offices, car parking and production halls as well as for municipal buildings such as hospitals, schools and sports halls. 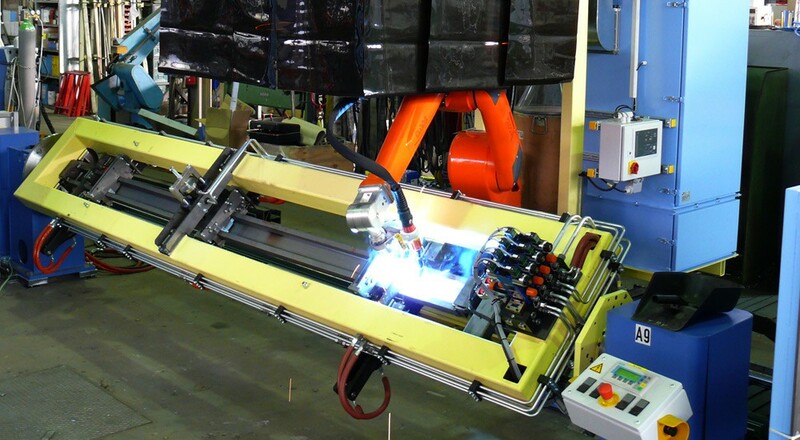 The MAG pulsed arc ensures optimum weld seam quality at high weld speed. The welding robot is mounted on an approx. 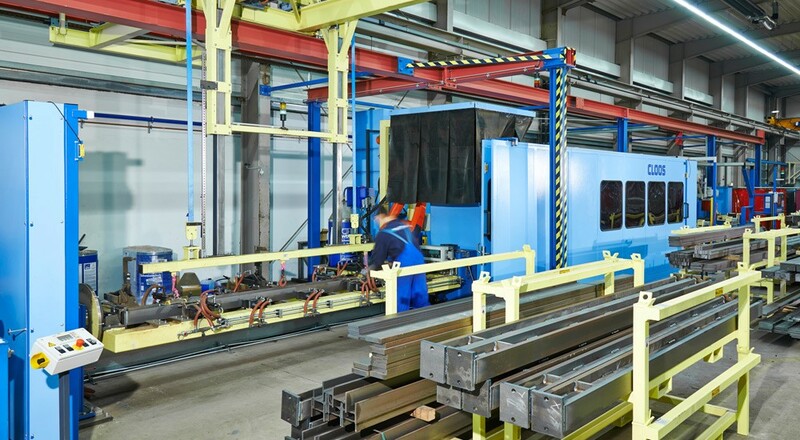 20 m floor-mounted linear track and has a rotating positioner with counter bearing which is used to always position the supports perfectly for welding.